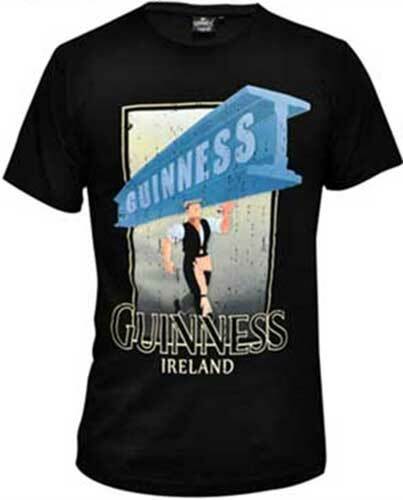 This Guinness t-shirt is black with an iconic motif. This Guinness t-shirt depicts one of the Guinness for Strength characters in full color action; the concept behind this Gilroy ad campaign was that after drinking a Guinness a workman could do the job of a machine. The vintage design black Guinness t-shirt, from The Irish Gift House, is 100% pre-shrunk cotton.